At every trade show and networking event, you hand out your business cards, including a link to your website. All of your print and digital advertising sends people to that same website. You’re spending time and money marketing yourself and the company. Yet for every 100 visitors that actually visit your website, only 2-3 of them are picking up the phone, sending an email or reaching out in any form to talk business. Which means you’re missing the other 97% who have shown interest in what you do. Wouldn’t you want to find out who they are? Technically, content gating is asking for contact information in exchange for access to content or data – usually by email/form capture. By applying content gating to what’s already on your website, you’ll know who many of your website visitors are – a huge advantage for both the marketing team in knowing who is coming from your marketing efforts and your sales team, who will know which prospects are interested in specific products or services. 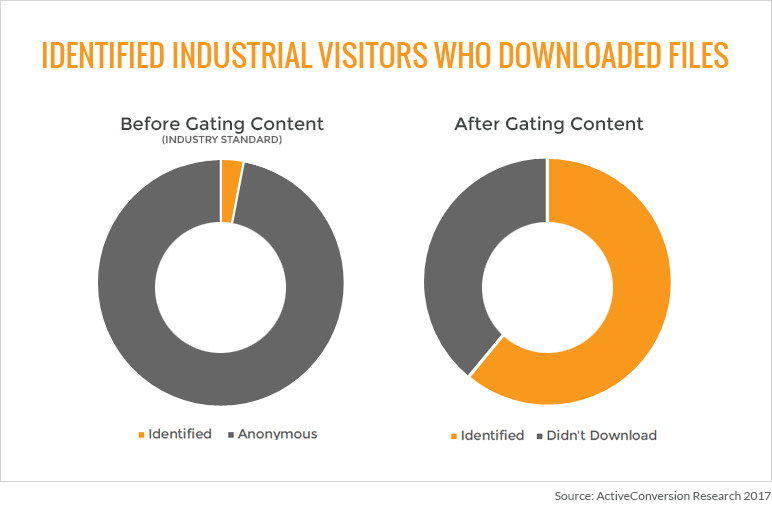 How many leads can content gating identify for industrial companies? We wanted to know the answer to that, too. So we put our team together to run some tests on a variety of industrial businesses, from large equipment manufacturers with long sales cycles to service providers who could be onsite in a week or less. The two largest factors influencing how many people could be identified was how many files there were to gate, and how many visitors the website received. More spec sheets or case studies available to gate, and more people to view them, makes more conversions possible. Won’t having a form in front of my content mean that fewer people will access it? The short answer is yes. But we don’t see it as a bad thing. 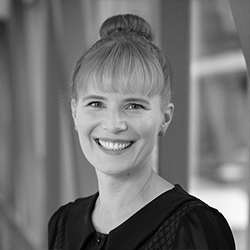 Because the people who DO see your content – spec sheets, data sheets – are often close to your target (file gating tends to scare off the tire kickers). Fewer people may download the file, but the ones who do, download your content for a reason. And now you can follow up with them. Our data team ran the numbers to see what kind of drop off you should expect if you decide to gate your files. We found that between 55% and 68% of the people who downloaded files were willing to identify themselves. For example, if your prospects downloaded 300 files from your website in a month before gating your content, you could expect to see around 183 downloads the month after gating your content – but all 183 of those would be identified prospects you could start to engage with. What kind of a difference would that make to your sales funnel? Don’t have a lot of (or any) marketing content? A lot of our customers run across the same issue – they don’t have marketing content waiting to be gated. The good news is that you don’t need marketing content, you just need something people want to download enough to share their contact information for. For our industrial customers, this tends to be spec sheets, maintenance guides, datasheets, and case studies. You probably already have these on your website and are using them with your customers. No content creation needed. With even an average of 1 download a day, gating that file can lead to 25 new leads for your sales team on a monthly basis, from just one lead generation source.